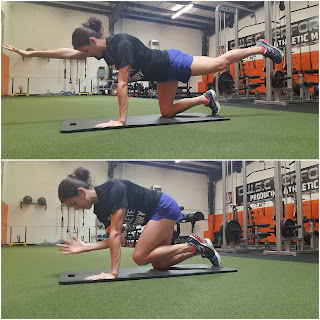 By now I’m sure you have heard of the importance of core training for runners. A strong, stable core helps with posture, form and running economy. 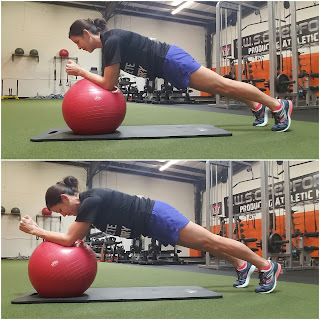 But often times I find that many runners associate the term “core” solely with abs, thus their core training consists only of crunches and sit ups. But the core is more than just the abdominal region, and proper core training involves much more than the aforementioned exercises. The core is defined by the structures that make up the lumbo-pelvic-hip complex, including the lumbar spine, pelvic girdle, abdomen and hip joint. 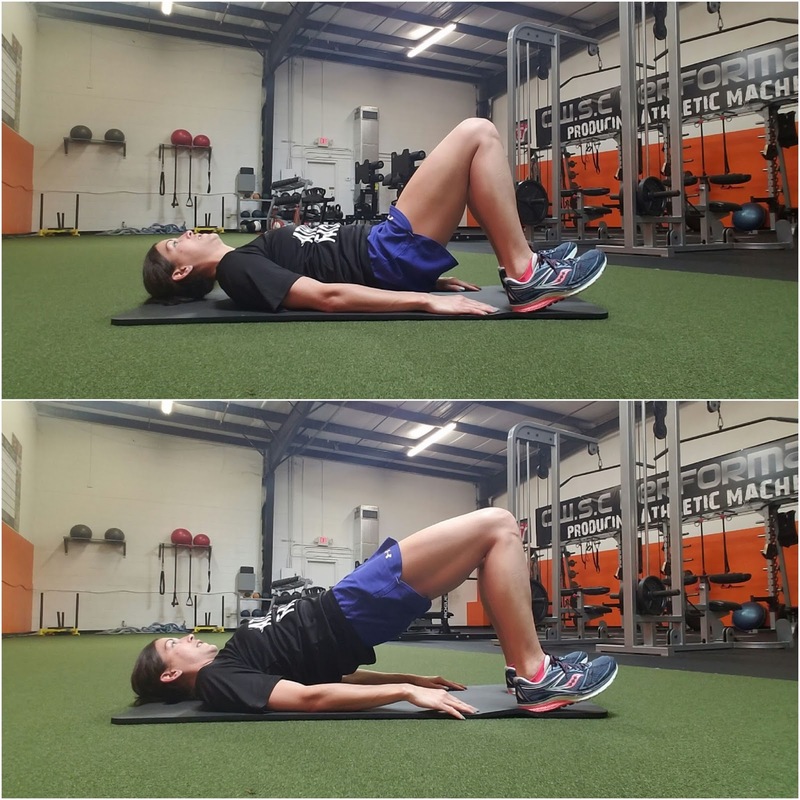 So along with the transverse abdominis (aka your tummy), the muscles you’ll want to focus on during core training also include the hamstrings, glutes, hips, lower back and oblique muscles. 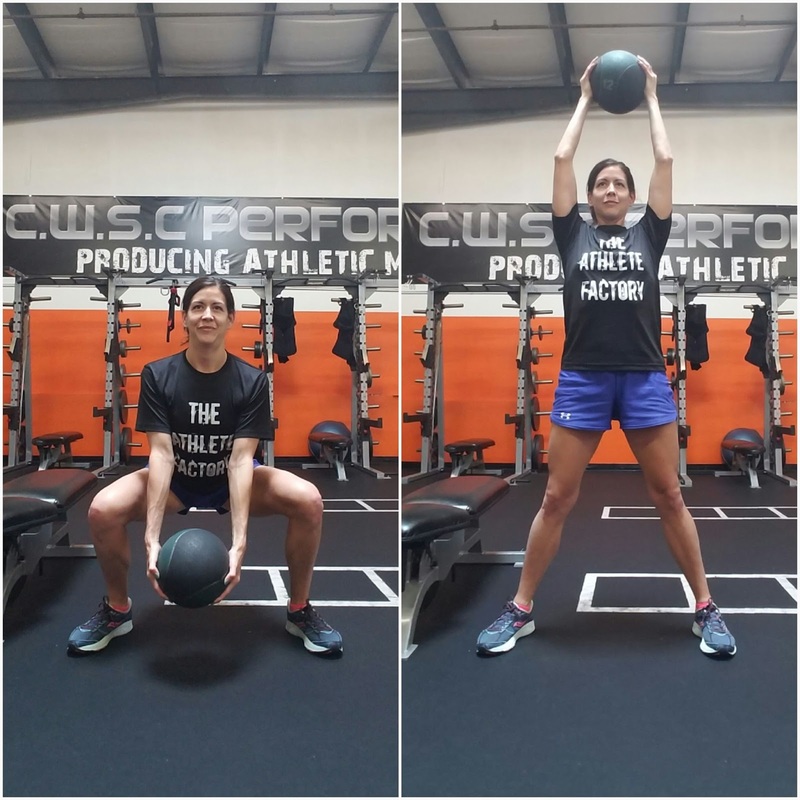 Below are a few of the core exercises we have our athletes do here at The Athlete Factory, I prescribe to my Strength2Run clients, and that I too incorporate into my own workout routine to build core strength and stability. 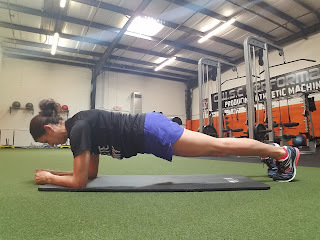 One of my absolute favorite baseline core exercises is the plank. 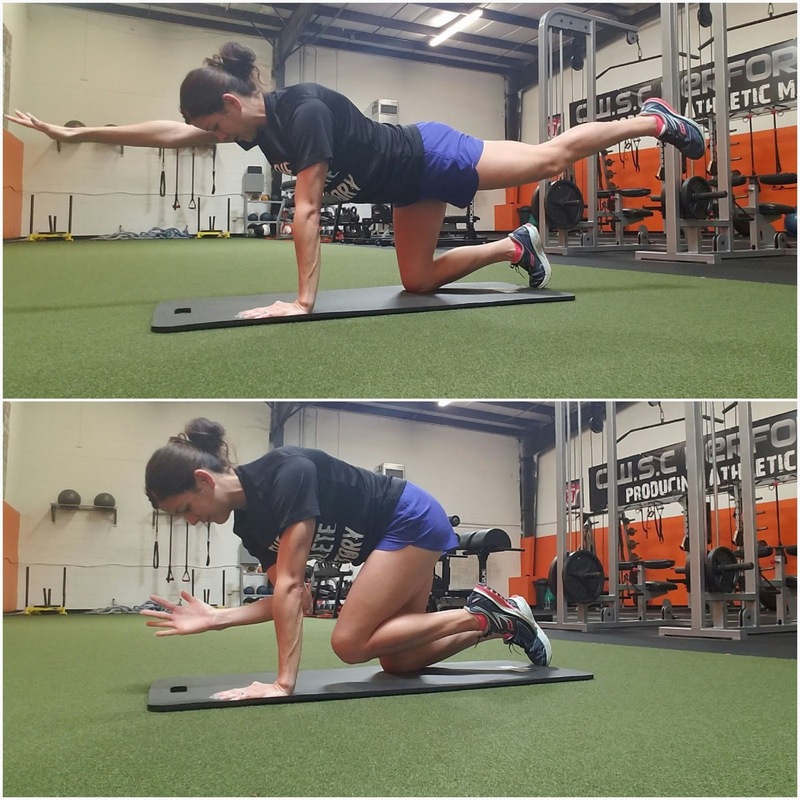 There are several progressions to this exercises, but it is important to master the basic plank before moving on. Begin lying prone with your elbows underneath your shoulders, palms together. Come on to your toes and engaging your abdominal as well as glute muscles, pull your body up, parallel to the ground. Tuck your pelvis towards your rib cage, pulling your belly button towards your spine. Be sure to break steady for the entire hold. Attempt to hold for 20-30 seconds for 3 sets. 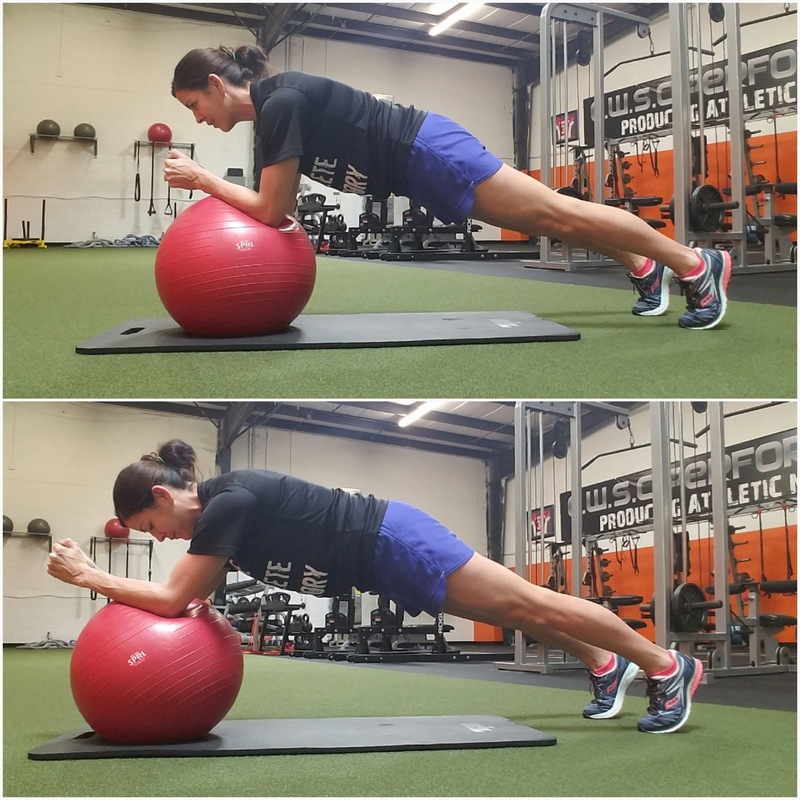 As stated above, core exercises are not just for the abs. Here is a great one to engage your glutes, as well as inner and outer thighs. Begin lying on your back with your knees bent, your arms by your side and your toes pointed up towards the ceiling. Tilt your pelvis towards your rib cage and squeeze your glute muscles as you draw as much of your spine off the ground. Press your hips up high continuing to engage the abs and squeezing the glutes. While doing so, engage the thigh muscles by working hard to keep them parallel to each other. Hold for a 3 count at the top and slowly release to the bottom position. Do 10 reps for 3 sets. Begin in an all-four position with your palms beneath your shoulders and your knees beneath our hips. Draw one arm forward, parallel to the ground and the OPPOSITE leg back and parallel to the ground. With the belly button pulled into your spine and keeping the back flat, pull the knee and elbow together (or at least towards each other, they do not have to touch) then release back to original position of arm and leg extended. Repeat 10x’s on one side then perform on the other side for 3 sets each. Beginners may omit the band while getting used to this exercise and add it in for the challenge. Begin lying one side with shoulders, knees and ankles stacked on top of each other. Draw the knees up in line with the hips so that hips and knees are both at a 90 degree angle. Place top hand on top hip to help keep it in position. Engaging your the outer glute and thigh of the top leg, lift top leg up (keeping ankles together) and squeeze for a 3 count at the top. Slowly return to start position and repeat. Do 10-15 reps on each side for 3 sets. 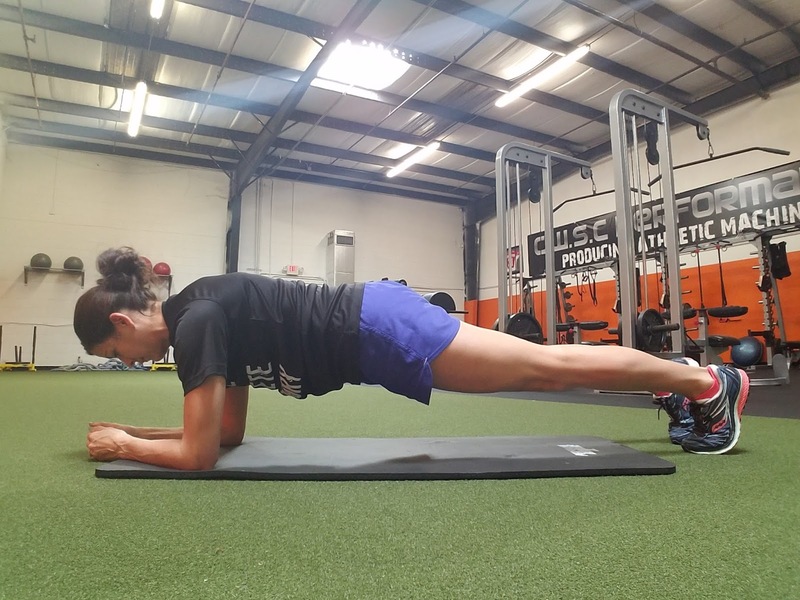 This exercise kicks the basic plank up a notch. Begin in a plank position (see above) on a stability ball. Keeping feet in place and engaging abs and glutes, slowly roll the ball forward then slowly return to original position. Do 10-20 reps for 3 sets. Begin in a standing position with feet slightly wider than hip distance a part. 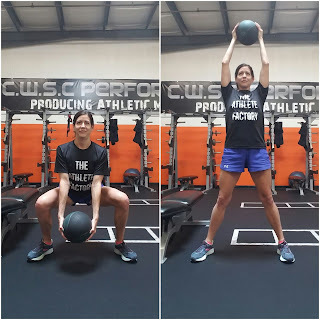 Holding a light to medium weight medicine ball in front of chest with arms extended straight out, lower hips down and back, weight in to the heels, lowering ball straight beneath body. Return to standing position bringing ball overhead. Repeat 10-15 reps for 3 set. 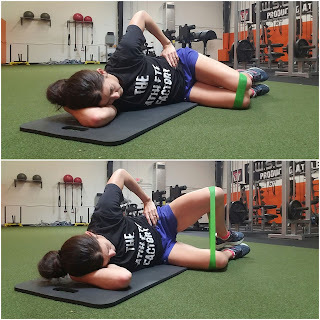 Of course there are several other exercises and progressions to build a strong, stable core that do not involve trunk flexion (aka crunching), but these are just a few simple movements you can begin incorporating in to your programming. For additional information or guidance on core training, as well as strength and conditioning programming for runners, feel free to contact me today!